You are here:Home > Search for "hotshot"
HotShot HD-XTE is the professional grade infrared camera without the sticker shock. HotShot HD-XTE can be used to measure the temperature of objects up to 500°C, and features design improvements that make infrared inspections faster, and diagnoses more accurate while ensuring increased operator safety. HotShot HD-XTE9 is the professional grade infrared camera without the sticker shock. HotShot HD-XTE9 can be used to measure the temperature of objects up to 500°C, and features design improvements that make infrared inspections faster, and diagnoses more accurate while ensuring increased operator safety. 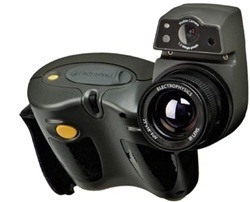 HotShot HD-XT is the professional grade infrared camera without the sticker shock. HotShot HD-XT can be used to measure the temperature of objects up to 500°C, and features design improvements that make infrared inspections faster, and diagnoses more accurate while ensuring increased operator safety.